Do you ever wonder, how does WhatsApp make money? here is the complete answer with details from the beginning of its journey to 2018. Every young people used WhatsApp at least once. More than 1.5 billion monthly active users are sending trillions of messages, photos, videos, contacts, places and more. Most of the students sending their notes, team discussion and getting GF/BF and infinite things happening there. WhatsApp is completely free. You can use it for unlimited sharing. There is no restriction at all. But how is WhatsApp making money? Facebook bought WhatsApp in 2014 for $19 Billion..!! Why Facebook bought WhatsApp with that much big money? Really is it worth? Surprising thing is, still, Facebook also not displaying any ads. The billion dollar question is about the money. I gave all answers to your all following doubts. How Does WhatsApp make money without ads? Is Whatsapp getting profit? or Loss? How does Online Business work? Why Don’t Whatsapp tell how they earn money? What is the ability or potential of WhatsApp to generate a revenue in future? What is WhatsApp Business Strategy? Which is the right business model, SnapChat or Whatsapp?. The simple answer is Yes. WhatsApp is making money. WhatsApp is the world’s No.1 messaging App. It has downloaded more than 2+ billion times. Are you crazy..! Your question is Whatsapp making money? oh…! It is using more than 1000+ million people. and you are asking this silly question. So now you may think, it is making a huge profit. Noo.. This is the very serious question because it shows a mirror of app business. You can make an App without investment and its management cost is also very less compared to other business industries. But the situation is different. Read next, you will understand slowly. You may wonder, in Whatsapp, you can’t see a single advertisement. It is Free to download. You can send and receive Unlimited messages, photos & videos. 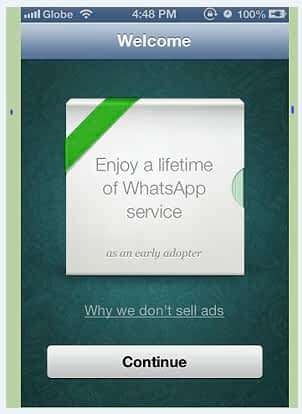 So you may get doubt, How Does WhatsApp make money without ads? But this 1 dollar subscription is not necessary to use WhatsApp..! Highest users of WhatsApp are from India. Till in India, no one paid a single dollar to use it. A few people paying 1 dollar and these people are mainly from rich countries. They don’t know how to use WhatsApp without paying anything. or they are not taking care of one dollar. but if you do not pay, it will automatically subscribe to next year…! Whatsapp is making money using this way only. It seems people are just donating 1 dollar and you can say it is making money from people who just throw 1 buck. Try. Yes, WhatsApp is making money, but it is in Loss. Facebook bought Whatsapp for 19 billion dollars and more than 20 million people are paying $1 dollar per year.Others are using free. The BIG question is why Whatsapp revenue is very low & Facebook revenue is high? Why WhatsApp can’t make the profit? to know answer read about online business below. So many economists, business analyzers says app business has a huge potential. Is it all fake? Because world No.1 app the Whatsapp is not able to get any profit till now, then how can other apps make money? There are billions of apps are competing against one another. You may think app business will end with a big crunch. No. Never it will happen. One thing I want to tell you, Technology-based industry have always a potential business. You may say, so many technology companies failed. But net profits of all technology business in the world have a more profit range than other business industry. There are so many app companies getting millions of net profits. How online business works? Today entire online becoming free. Free service providing apps or website makes money mainly from advertisement. Google is free and its 97% of revenue comes from advertisement only. That is 100+ billion dollars..! As of June 2018 research, Facebook is making money only from ads. 100% Facebook is revenue is depending on ads..! If you click any advertisement, the app will get money from the advertiser. Free service Online business works like this. Some apps make money from yearly subscription or one-time payment and you will get a lifetime license like Microsoft Windows. There are so many businesses depending on online. For example, nowadays all are applying for insurance on the internet only. Insurance companies making a good website to apply and payment. Without office work, Insurance companies getting a huge profit. They start to give advertisement to related websites like insurance guiding websites. Mainly they give Google AdWord advertisement platform. When you search in google like “Best and cheapest car insurance”, first 3 results will come advertisement, even their website is not search engine optimized or higher rank. So many people simply click the first result. Then Google gets money for every click. At least one person will apply out of 100. That’s enough for Insurance companies to make profits..!!! Then Why Whatsapp Can’t Able To Make a Good Revenue While Some Apps Are Getting a Huge Net Profit? Whatsapp CEO Jan Koum told one of his interviews that Whatsapp will concentrate only expanding, that is, they are concentrated only increasing its users and it’s current goal is not to make money. If you are not renewing your account with paying $1, don’t worry, it will automatically renew for you..! ( Except a few rich countries)That means Whatsapp never trying to get more revenue and it is only expanding its user base. So we can say clearly that Whatsapp is NOT making money. It is in big Loss, even it’s users are growing exponentially. What Is The Ability Or Potential Of WhatsApp To Generate a Revenue In The Future? If Whatsapp wants to make money, they can generate billions of dollars within a month. Let’s take a scenario or predictions. 1+ billion active users are there. Few people will click more than 30 ads. If 1 click gets 2 dollar average, then 4.5 clicks X $2 = 9 Billion dollars..!!! That means Whatsapp can able to generate $ 9 billion/month right now..! This is not a right prediction. Let’s take another prediction. Above calculation is just current time ability. But Whatsapp has a high potential business. Its users increasing exponentially. According to Facebook strategy analysis 2015, at the end of 2018 Whatsapp will reach 3 billion user-base. That time, people will spend more time on Whatsapp and the average ads click rate also increases from 3 to 5. In 2018 the whole economy is slightly higher than current, also competition is more. So ads CPC (click per cost) is slightly higher than the current rate. Take it as $3. That is 3 billion X 5 X 3 = 45 billion dollars /month..!! This is single month revenue of Whatsapp. For 1 year 45 X 12=540 billion dollars….! Because in 12 months, total business in slightly increasing as well as users. 540X 1.43 =772.2 billion dollars per year. So we can predict in 2018 Whatsapp can able to make 772.2 billion dollar revenue. How are all correction factors calculated? Correction factors mean, in your childhood time, you may get a few chocolates for 1 dollar. But now,1 dollar can’t give you the same amount of chocolates that you bought in your childhood. That means the whole economy is changing and all matters valuations are changing. You can’t predict future profits by using our current valuation. So we need to find a correction factor to make right valuation by analyzing economy growing graph & trend. Why Whatsapp Can’t Able To Make Money? A Few Social media specialists say Facebook is a social networking website. So it has more power to generate revenue than Whatsapp because Whatsapp is just a mobile app. So it is very difficult to display ads. But the real situation is different. Why is WhatsApp not showing interest to generate revenue? Mark’s wants the whole world in his social network. Then he will start monetizing the app. His imagination is very high. His goal is not just making money, rather than he wants to influence. 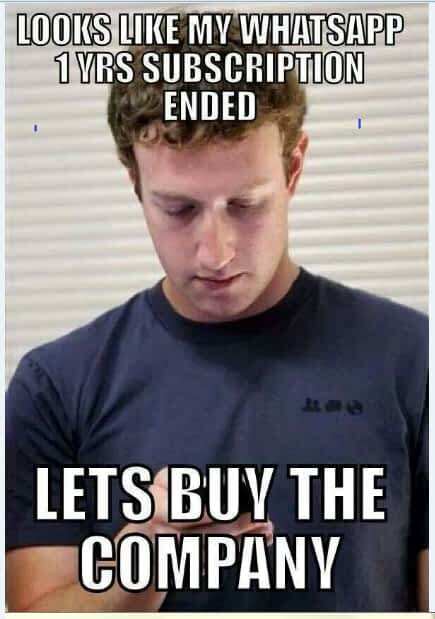 He doesn’t have any pressure, because Facebook getting higher profits than expected. SnapChat already starts monetizing, making money and raising funds. Snapchat net-worth is nearly 25 billion. Whatsapp net-worth is nearly 25 billion. This shows SnapChat and Whatsapp are equal in net worth. But Whatsapp has 7 times larger user-base than SnapChat, even though, how SnapChat raised its net-worth nearly Whatsapp? The answer is its business model. SnapChat started monetizing, but Whatsapp is not yet started monetizing. SnapChat getting profit, but Whatsapp getting the loss, So investors are not showing interest in Whatsapp. Which is the right business model, SnapChat or Whatsapp? Now Whatsapp is under the main Facebook company. You know, it is a big company. The snapshot is operated by 26-year-old Evan. He needs money to grow more. It is very dangerous to run an app without monetization. In apps like technology, business has always high risk. If a new app comes, people will leave SnapChat, so if he didn’t make monetization to his app, he may not get any single dollar for his 6 years hard work. You may ask questions about why is Whatsapp taking the high risk? If ads disputes get irritates to people, SnapChat may fail to increase its user-base, but no problem because that time he will earn billions of dollars like Mark Zuckerberg. If his share is decreasing its value, he can invest in other business. He can win his life. So we can say SnapChat’s founder & CEO Evan’s strategy is perfect. But Whatsapp strategy is also right. So both Whatsapp and SnapChat theory or business models are perfect. Because we can’t make scale & rules to measure all businesses in a single theory. Every business is unique. Comment below if you get any doubts & get a reply within 24 hours. Great calculation beyond my imagination. Thank you so much.